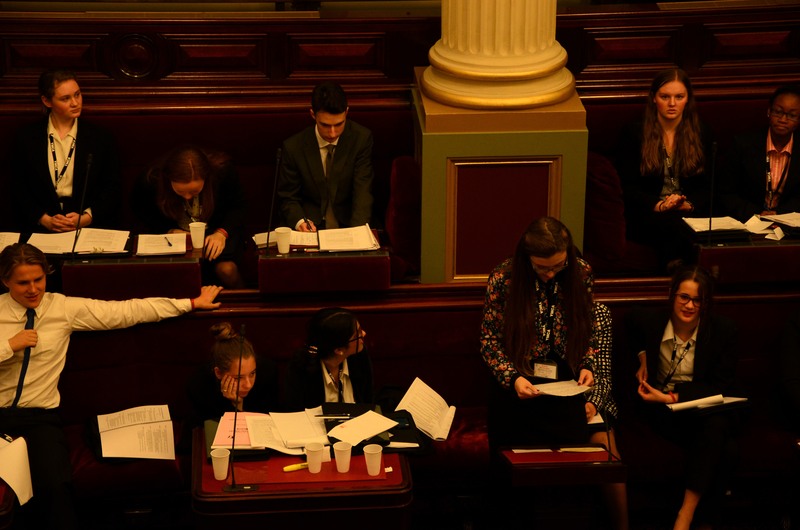 The Melbourne Girls College Bill had teams debating climate change in the Legislative Council on Tuesday. Although it was agreed climate change was an issue needing to be addressed, the Bill had teams divided. “A more thoughtful and gentle approach should be taken,” said Bendigo team member, Sophie Rhule. Small businesses and costs were big issues for the opposition team. “It opens up the market for the big businesses to buy out all the buildings,” Bendigo team member, Shane Sawyers said. “We understand these materials will be more costly than the other materials and the government will supply rebates for these costs,” Mahanoor Gillani said. But the government were adamant the Bill would not hurt the industry. “We guarantee that every business will be able to comply,” Melbourne Girls team member, Violet Davies Brown said. “Monetary incentives are crucial elements in ensuring businesses comply,” Campisi said. However, the opposition was still sceptical. “Where does the money come from? When do we have to pay it back? This is not a fair distribution of money,” Shane Sawyers said. “This is an unachievable goal, 75% is too much”. The Melbourne Girls College team said the debate was one that was simple. “Do you support climate change, or do you not?” Claire Rose said. “We are in support of sustainability, we want to stop climate change,” Sophie Rule said. After a long debate, ‘The Compulsory Environmentally Sustainable Industrial Building Bill’, was passed. Posted on July 2, 2014 July 3, 2014 by vicpressgalleryPosted in 2016Tagged Environment, Melbourne Girls College, Spring st, sustainability, sustainable buildings, Victoria, Youth Parliament.